The Disability Living Allowance has changed; Personal Independence Payment or PIP has replace it. If you have been awarded the Advanced Rate of the Motability Component of PIP you can join the Motability Scheme and J Edgar & Son are here to help you through the process of choosing the right vehicle for your needs. You make use of part or all of the allocated allowance you have been awarded into leasing the car of your choosing. After three years you can then hand that car back to Motability and then choose to lease a new vehicle for a further three years. YOUR CHOOSE THE CAR; WE DO THE REST. "95% of customers choose to lease a car through Motability's Contract Hire agreement." Our worry-free policy continues right to the end of your three-year lease with a seamless transfer to your new car. What's more, you can choose from over 4,000 cars; it's no wonder 97% of our customers would be happy to recommend J Edgar & Son as their Motability partner. Some customers may prefer to buy their own car, in which case a Hire Purchase lease might be for you. If you choose Hire Purchase, you negotiate the actual purchase price with us. With Hire Purchase, you will also be responsible for organising and paying for comprehensive insurance, breakdown recovery, your car tax disc, servicing and repairs. WHAT TO EXPECT WITH MOTABILITY? At J Edgar & Son we can offer the choice of a Motability car from within the Nissan, Hyundai and Suzuki range of vehicle. So, if you would like to speak with anyone regarding your options we are happy for you to get in touch with our Motability Advisors available at our Rowrah and Dunmail Park dealerships. 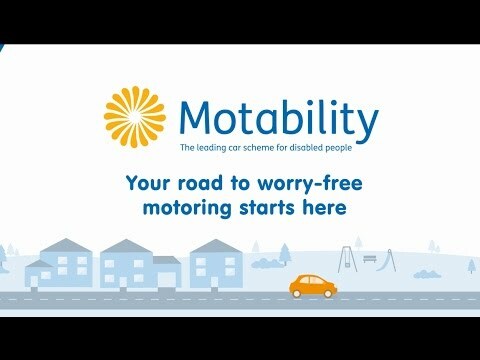 Motability Rowrah - call 01946 861607 | Motability Dunmail Park, Workington - call 01900 604393. We are always happy to see our customers so you are welcome to visit us and speak to our advisors in person.